Armada Hoffler is proud to present their newest mid-rise apartment community in Virginia Beach Town Center: Premier Apartments offers brand new, luxury studio and 1-bedroom apartments complete with high-end finishes inside and out. You will enjoy a fabulous clubroom, outdoor rooftop terrace with fire pit, a state-of-the-art fitness center, key fob entry to your home and amenities, as well as complimentary parking, including a covered sky bridge to the community. Immerse yourself in town center style living when you choose to live at Premier Apartments: spectacular views of Virginia Beach Town Center are just outside your window; shopping, dining and entertainment are just outside your door! Discover the best of city living that’s just a short drive from the beach—Premier offers the best of both worlds. 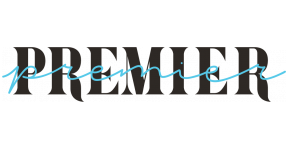 Call today to see why Premier Apartments should be your first choice!